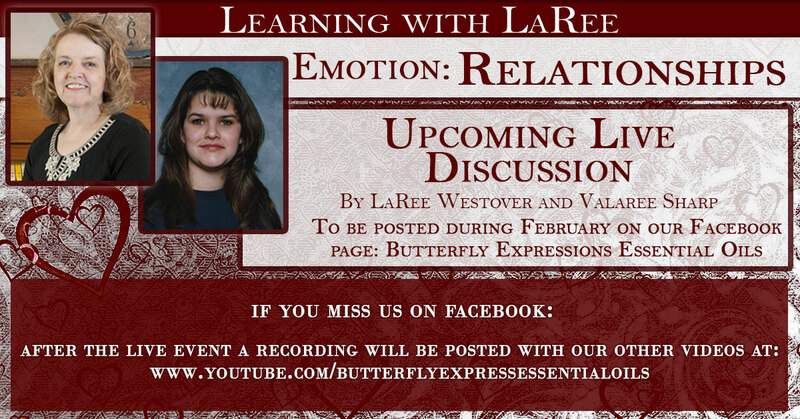 LeHeartSong has been of great benefit in treating depression, and in overcoming grief and trauma. 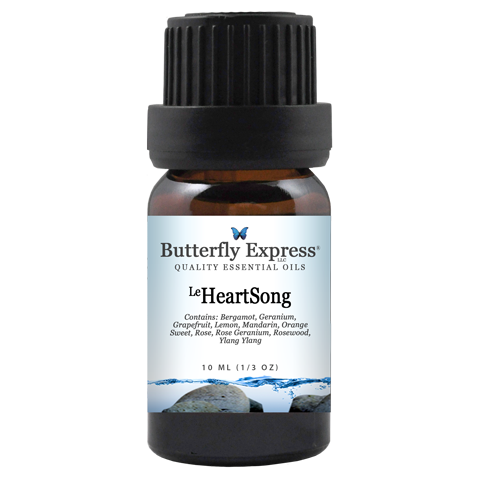 LeHeartSong is also helpful in stabilizing mood swings, relieving stress and tension, and helping one to relax. LeHeartSong is balancing to the electrical fields of the body and stabilizing to energy levels. LeKey to My Heart is very strong in the balancing and repairing of the cardiovascular, circulatory, pulmonary, and lymphatic systems. LeKey to My Heart has proven useful for lowering high blood pressure, reducing stress levels, increasing stamina and energy levels, and stabilizing the emotional and electrical rhythms of the heart. LePatches was designed for the repair and healing of damaged tissues, tendons, and ligaments. LePatches is strongly anti-inflammatory, and promotes quicker and more complete healing by inducing oxygen and blood flow to the injured tissue. LePatches heals the damaged and broken energy places in the chakras and meridians. Benzoin is a powerful antimicrobial. It has a pronounced effect on congestion, literally "melting away" blockages in the lungs, lymphatic vessels, and intestines. Benzoin is a circulatory stimulant, and has a particular affinity for the tiny capillaries that feed the skin. Benzoin creates soft, warm, fuzzy feelings in the heart. Copaiba Balsam helps one to be more resilient and stronger emotionally. Copaiba Balsam is used for skin problems such as chapped skin, rashes, sensitive skin, poor circulation, and eczema. It has been used for years as an expectorant for bronchitis, coughs, and colds, venous congestion, hemorrhoids, and variscose veins. The analgesic and antispasmodic properties of Zanthoxylum make it useful for arthritis, muscle cramps, inflamed joints and other joint problems, and increasing circulation. Zanthoxylum is sedating and calming to the nervous system, making it useful for stress related conditions such as headache, insomnia, and nervous tension. 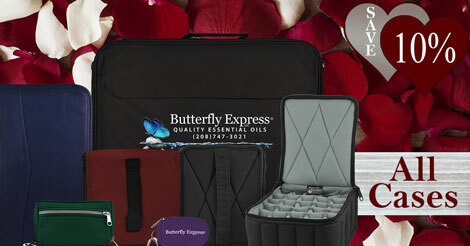 This kit includes oils to help you and your Valentine take some time together and REALIZE the potential your relationship has. LeSego Lily promotes feelings of being loved and appreciated. Its aroma inspires us to show love and appreciation to others. LeWeightless lightens the weight of our own negativity and helps relieve stress. LeWeightless helps the mind to function more clearly and quickly. LeWeightless also increases metabolism. LeAmbition cultivates a feeling of self worth, calming the spirit, opening the mind, and removing negativity and hesitation. It helps us deal with fear of failure and fear of making decisions. LeAmbition balances the yin/yang energies, and promotes the ability to move forward in achieving one's goals. These oils are great in the tub for some me/us time or can be diffused or worn as a perfume. 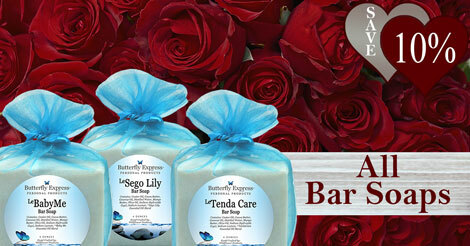 This kit also includes a white bath sponge and a 1oz LeAgeless Shave Oil. LeAgeless Shave Oil can be used instead of shaving cream for a soothing moisturizing shave. It is healing and regenerating to the skin, helping to repair damage and develop or maintain beautiful, healthy skin. Do you and your Valentine need some time to rebalance and RESTORE? 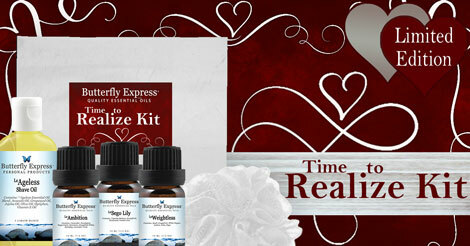 This kit includes oils to help you do just that. LeConnection has a delightful aroma which is centering, grounding, and emotionally balancing. This is a good oil when life has become too crazy and overwhelming. LeFortitude is both physically and emotionally healing. 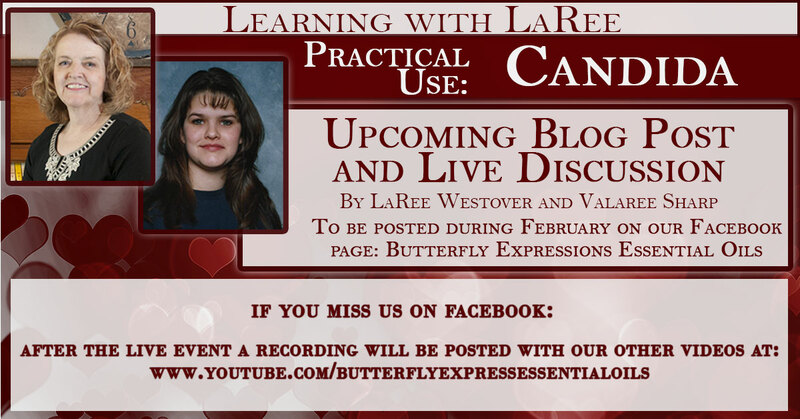 LeFortitude can help us deal with stress and anxiety, and help us find emotional stability. LeFortitude has amazing muscle relaxing, pain relieving, and anti-inflammatory properties. LeRevitalize increases mental alertness and alleviates mental fatigue. It is a great blend for replenishing inner stores of strength and increasing stamina. LeRevitalize also gently cleanses the liver. These are great bath oils and they can also be used topically or diffused. This kit also includes a black bath sponge and a 1oz LeAboutFace Shave Oil. LeAboutFace Shave Oil can be used instead of shaving cream for a soothing, moisturizing shave. LeAboutFace regenerates skin, promotes the production of healthy cells, helps eliminate sun spots, and tones and tightens the skin. The high notes of citrus add happiness and cheer to this blend while the Vanilla CO2 and Benzoin add stability and deep contentment with its warm, welcoming, velvety richness. LeBeMine is a very grounding blend bringing feelings of peace, joy, and contentment. It promotes feelings of love and gratitude for our partners making it a great oil to add to those special moments with your Valentine. February can often be a hard time of year for wintertime depression. LeBeMine was blended with the intent to help you see that spring is just around the corner and you have support from all of nature’s wonderful remedies. It is an excellent blend to diffuse to help set a loving, positive, and hopeful atmosphere in your home. 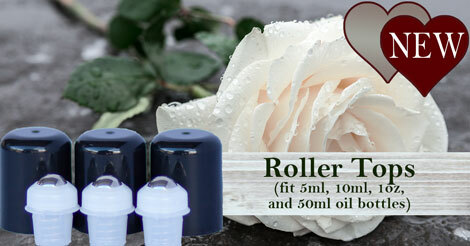 Turn any 5ml, 10ml, 1oz, or 50ml oil into a roller bottle with these new Roller Tops. Simply remove the lid and plastic orifice from any oil and replace it with a Roller Top (get the new Key Card to make this easier). Available in a 3 pack. 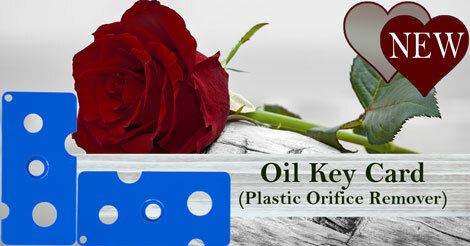 This Oil Key Card will easily remove the plastic orifice from any 5ml, 10ml, 1oz, or 50ml oil bottle. Use the Oil Key Card to get the last little bit of oil out of your bottle, to make refilling smaller oil bottles easier, and use it with the New Roller Tops! These handmade soaps are cold processed in small batches, and made with natural products including essential oils, carrier oils, and butters that are great for your skin. Available Soaps: LeAboutFace, LeBaby Me, LeBeGone, Citrus Pumice, LeHousewarming, Lavender, Peppermint/Vanilla, LeSego Lily, and TendaCare. There are so many great cases with a variety of sizes, styles, and colors to choose from. From the conveniently small Key Chain Case for 10 sample bottles and the Travel Case for 10 5ml-10ml bottles, to the Executive Case that holds 125 5ml-10ml bottles, with many sizes in between, you can get an oil case that is perfect for your needs. There are even cases for 1oz and 50ml oil bottles, and 1oz tincture bottles. 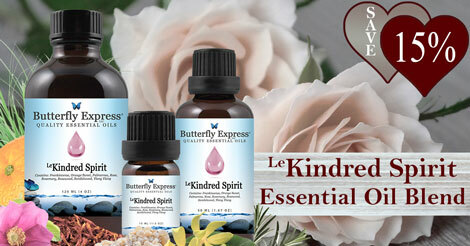 LeKindred Spirit contains some of the very best essential oils for working with chronic illness. This blend is often effective for headaches, insomnia, memory difficulties, learning difficulties, mental fatigue, and indecisiveness. LeKindred Spirit raises low blood sugar levels and stabilizes blood sugar fluctuations. LeKindred Spirit also addresses the fears we sometimes feel when circumstances in our lives are in a state of change. 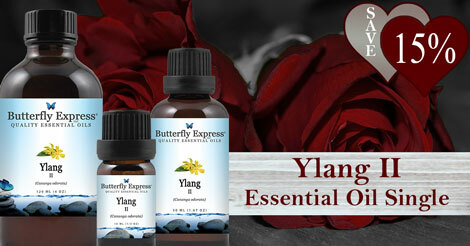 Ylang Ylang balances the male-female energies and hormones in the body by stimulating the adrenals and thymus glands. Ylang Ylang is exceptionally effective for depression, irritability, anxiety, rapid breathing, heart palpitations, high blood pressure, hypertension, nervous tension, physical and mental exhaustion, nervousness, and insomnia. Ylang Ylang may also be helpful for insecurity, low self-esteem, anger, rage, and dare-devil tendencies. Tamanu promotes the formation of new cell growth and the elimination of dead cells, thus accelerating wound healing. Tamanu is also known to possess anti-inflammatory, antibiotic, and antimicrobial properties. Tamanu should be considered as the carrier oil of choice when working with eczema or psoriasis, burns, acne, dry or scaly skin, diaper rash, diabetic ulcers and in relieving pain from sciatica, shingles, and arthritis. Although tamanu oil is thick and dark in color, when applied to the skin it is readily absorbed and leaves no oily residue.